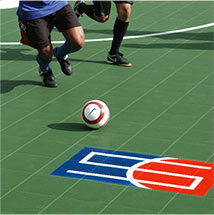 We’ve been in the indoor and outdoor sports flooring game for more than 30 years. 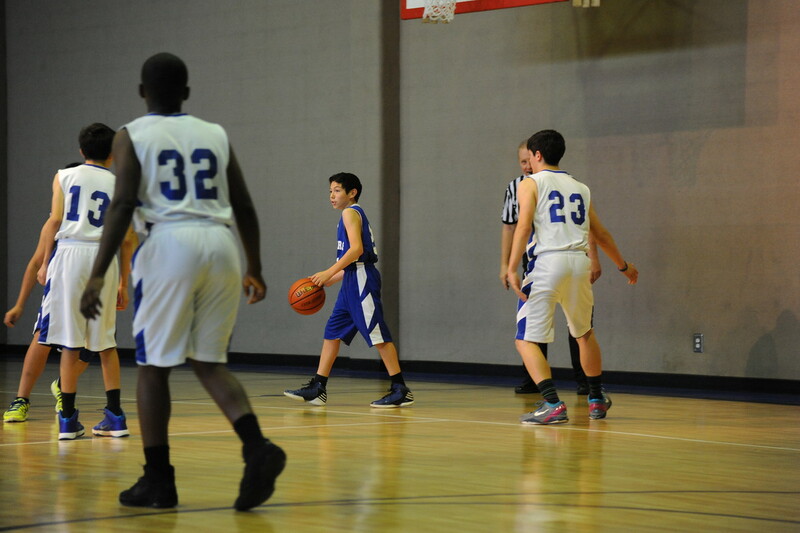 Low costs, easy maintenance, and unparalleled safety features are Sport Court South’s specialities. Our quality installations surpass the expectations of even the most demanding coaches, athletes, builders, architects, and facility owners. We take care of the details so that you can focus on the game. Gym floors that fulfill dreams and destinies. This is a court made for more than just a game. It’s a place for the entire community to gather together. Our gym flooring provides an excellent alternative to traditional wood floors. You won’t need to worry about re-surfacing every year, and you’ll still receive all the traction and shock absorption—and even the look—of a suspended hardwood floor. Help unleash your championship potential on a professional-grade court. We love the game as much as you do. We put as much love and care into your new court as you do into your community. Let us turn your unused field or existing concrete court into a showpiece your community will be proud of, a place where both young and old can safely play. A space where honesty, respect, hard work, teamwork, and fun all merge together in sport. We are the Safest Courts In The World™ because we want every athlete to reach their maximum potential. 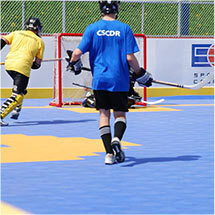 Our outdoor sports surfaces deliver something an acrylic court can’t. You want the best for your facility. We only use the best and finest products. Our extensive knowledge and range of customizable features will help your facility provide the total experience. Local CourtBuilder™. Our local team will continue to be here for years to come. Quick install. Floating installation can happen in as little as five days with no smelly glues or adhesives. Safety. Variable shock absorption, low skin abrasion, and patented Lateral Forgiveness™ help to reduce joint stress and fatigue. Solution oriented. You choose the level of shock absorption needed to keep your athletes safe. Low maintenance. Dry mop and occasional auto-scrubbing is all you need. 15-year warranty. Best in the industry. Low life-cycle cost. No need to resurface for 15+ years, which means your court saves you money over time. Multi-sport use. Allows you to have versatility in athletic programs. 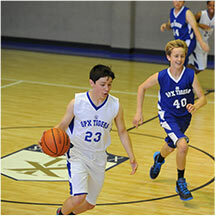 Sport Court South has built gym floors and outdoor courts for many facilities across the South. 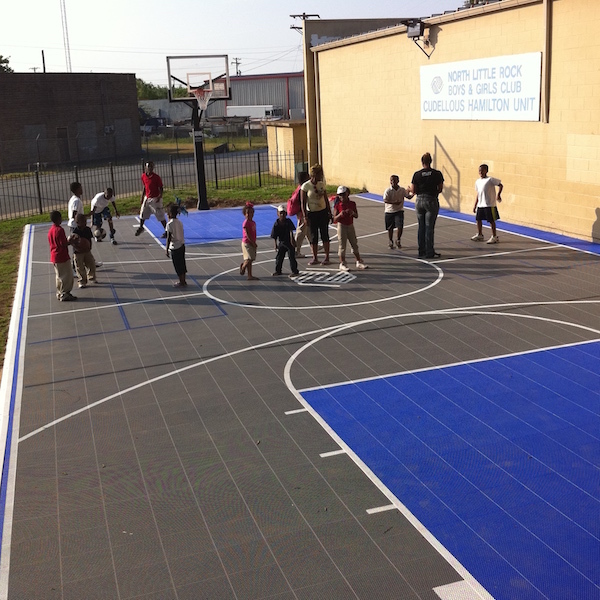 "We are very pleased with our Sport Court surfaces at the Boys and Girls Club. 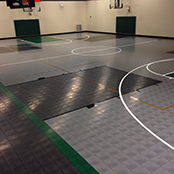 At all five of our gyms we have the Sport Court product, which has proven to be strong, durable and affordable. We are especially pleased with the new Maple Select floor. It has the look and play of a real parquet wood floor." 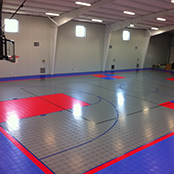 Does Sport Court® sports flooring require a climate-controlled building? 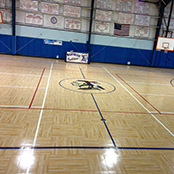 Unlike many other sports surfaces, our gym floors perform well in a wide variety of climate conditions. Extreme humidity, cold temperatures, or heat generally don’t present any problems in playability. How does a court from Sport Court South compare in cost to other alternatives? Our courts are typically less expensive than even the basic suspended wood systems, and they compete well with most other synthetic alternatives. Even alternatives like asphalt and concrete that are initially inexpensive have costs that arise over the long term. Over the life cycle, Sport Court’s low maintenance costs and extended durability will continue to save you money year after year after year. Ask your CourtBuilder for more detailed information about the costs for your specific space so that you can accurately compare with other options. How is Sport Court flooring affected by moisture? Unlike wood and most other synthetic floors, our indoor and outdoor modular sports floors are virtually unaffected by water. This includes vapor from concrete slabs or subsurface as well as submersion or flood. Does Sport Court use any hazardous chemicals or materials in its manufacturing process or installation? No. In fact, we are the only ISO 14001 sports flooring manufacturer in the United States—the international standard for environmental controls. Almost any color you can imagine. We’ll provide you with our standard palette of over 20 stock colors, or we can match any PMS color you prefer. 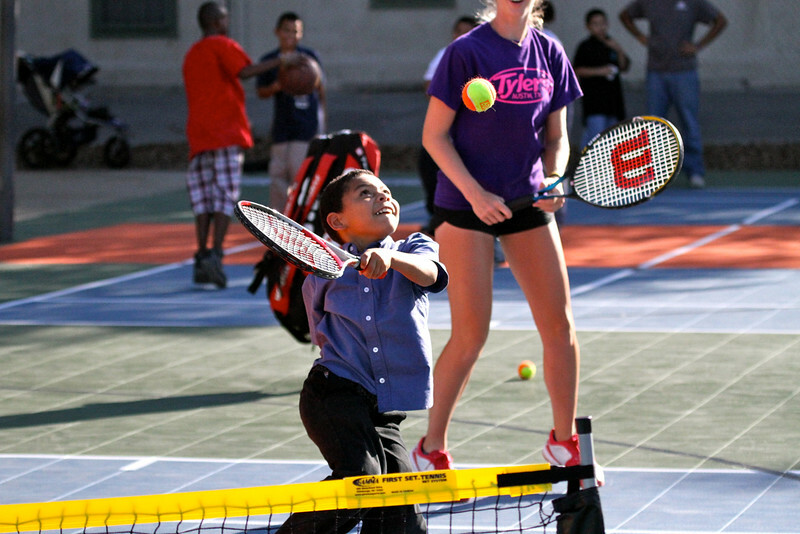 What makes Sport Court South different from others? With over 40 years of experience, a 96% satisfaction rating, and 150,000 courts installed worldwide, we can say without reservation that we make the best courts for the best price. We pride ourselves on using only our own certified CourtBuilders (no side jobs) to install and complete your project from start to finish. And with independent safety testing, we know this will be a safe place for your family for years to come. How long does it take to install a floor? Sport Court flooring can be installed, striped, and ready for play in less than a week. How long will a Sport Court floor last? Our modular sport floors are covered by a 15-year limited warranty, and we expect them to deliver playability, safety, and durability for even longer. 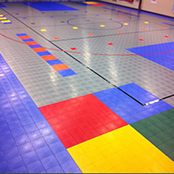 Does Sport Court flooring provide any safety benefits? Our patented Lateral Forgiveness™ technology provides protection against stress on limbs and joints. We can also adjust the shock absorption value to almost any level you’d like. How well does the ball bounce compared to other basketball floors? 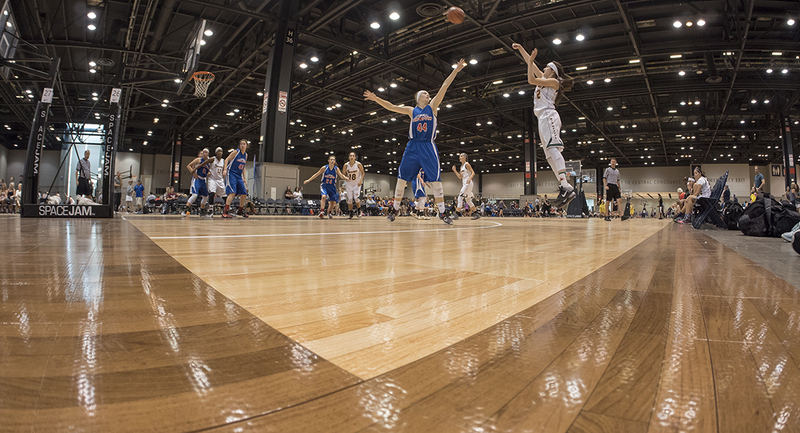 DIN-certified basketball floors must deliver a minimum 90% ball response, but we don’t believe in bare minimums. Our modular surfaces range from 93% to 100% ball response. How does maintenance compare with other sports floors? 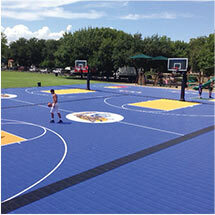 Sport Court modular surfaces require less maintenance than most others. We recommend regular dust-mopping and intermittent mop cleaning. Why do you call Sport Court floors “multipurpose” sport surfaces? Most sports surfaces have limitations. 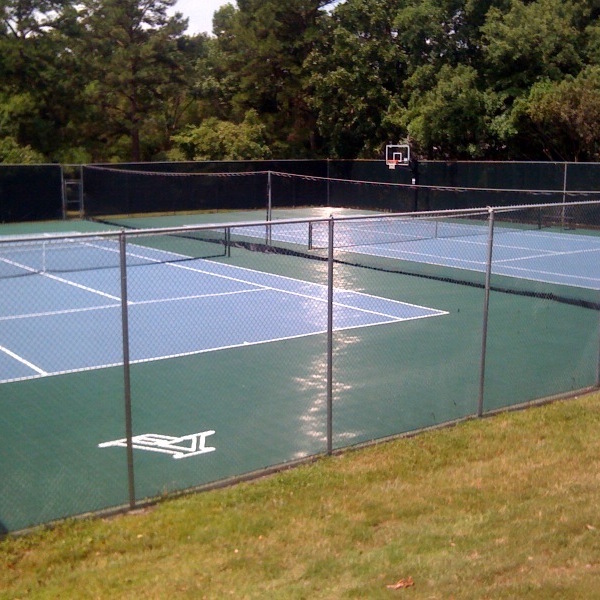 Sport Court modular courts can be used for almost any activity in almost any type of facility.